The death of civility is now such a common place occurrence, that we have become immune to these outbursts. We bemoan that prominent Congressmen can heckle the President of the United States, like he is on the Jerry Springer show. We tune into Jerry to see the fights ,and if it is not a good one we turn the station to Maury Povich. What message are sending to our youth and society as a whole? Are we saying that we don't have time to listen to intelligent debate ,or we saying that the other person's opinion is not valid to be treated civilly ? Recently I watched a award show where a prominent rapper Kanye West stole the microphone and time of the winner.Kanye told the audience and those who later watched it that she was not deserving ,what a way for Taylor Swift to be introduced to the viewing public. Kanye was wrong,and in a unanimous condemnation from his fan base he was placed in check . Civility is not dead, perhaps we are tired of the boorish displays of bad behavior. Patrick Swayze joined the pantheon of pop stars to pass on this year.Patrick Swayze was born in Houston,Texas.Swayze was trained in classical dancing by his mother. 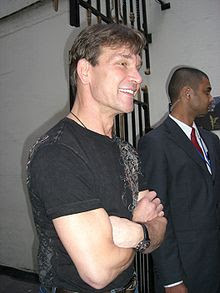 Ironically one of his greatest roles was in "Dirty Dancing" ,it was supposed to be a limited release it turned out to be a commercial success in 1987.Swayze was nominated for a Golden Globe Award and the accolades began.Swayze followed up this by starring in the popular movie "Ghost" with Demi Moore, and Whoopi Goldberg. The greatest achievement that Swayze had was not in Hollywood ,it was in his marriage to his wife, Lisa.They met when he was 18 and she was 14 in his mother's dance class.In these days of Hollywood minute style marriages,his marriage lasted the duration of his Hollywood career.We need more marriages , that can stand the test of time.Rest In Peace. After careful consideration,and numerous prayers,I have decided to run for the Grand Prairie city council.At present there is no active race,it is what in political terms called an exploratory campaign.Exploratory campaigns have all the trappings of real campaigns with treasurers,managers,events,and a candidate.The only thing missing is the name on the ballot. In Grand Prairie,we have been blessed to have a good mayor,a good council,and a efficient staff of dedicated citizens that provide city services to us all. 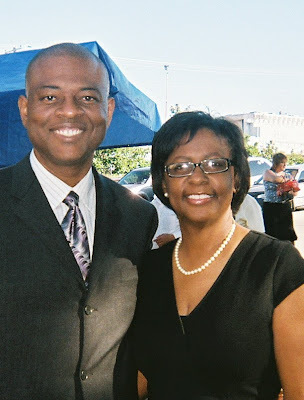 It is with that desire that I bring forth my proposed candidacy.As 2009 moves to a close , I have embarked upon a listening tour of the various homeowners associations and met with over 500 citizens. Today ,Darla and I have opened our home for our annual Fish Fry.This time we are expecting more than just immediate family to fellowship.Concerned citizens with a interest in good government will share their day with my family.For this I am blessed.Thank you and have a Happy Labor Day!